The National Agency for Food and Drug Administration and Control, NAFDAC, has filed an appeal and a motion to stay execution of a judgement on Sprite and Fanta soft drinks. 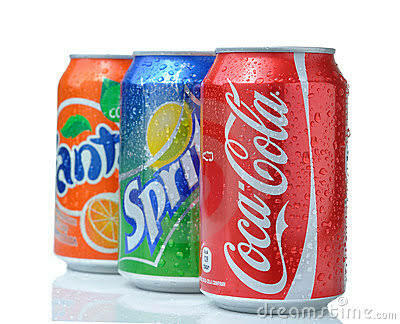 An Igbosere High Court had ordered the Agency to compel the Nigerian Bottling Company, NBC, Plc, to carry a mandatory warning on its Fanta and Sprite products, stating that the contents should not be taken with Vitamin C in order to avoid poisoning. The court berated NAFDAC for poor regulation of the products, popular among millions of Nigerians. The judgement was delivered in a suit filed by Fijabi Adebo Holdings Limited and Emmanuel Adebo against the NBC and NAFDAC. In her reaction, the Acting Director General of NAFDAC, Yetunde Oni, through a text message ti Premium Times from Vienna, Austria, observed that the agency is a national regulatory authority and would react both scientifically and legally to the judgement. “Our lawyer has filed an appeal and a motion to stay execution of action of the judgement also filed,”she said from the 60th session commission on narcotics drugs she is currently attending in Vienna. The NBC had on Wednesday also appealed the court judgement saying it was not true that the drinks are poisonous when taken with Vitamin C.